This week hasn’t started off so well for original Survivor winner and current Celebrity Apprentice contestant, Richard Hatch. At 12:30pm on Monday, Hatch, 49, surrendered to the U.S. Marshals Office in Providence, Rhode Island after being denied more time to get his affairs in order. He has been sentenced to nine months behind bars. 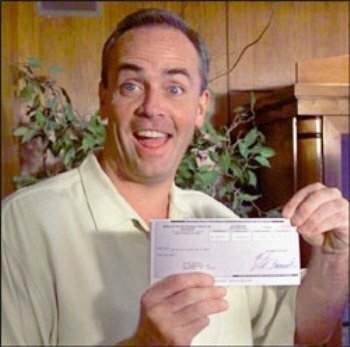 All of this trouble started back in 2000 when Richard Hatch took home the $1 million prize for winning the first-ever season of Survivor. Hatch didn’t pay taxes on his winnings – claiming he did not know he was supposed to – and was charged with tax evasion; he spent three years in federal prison. Apparently his time in the slammer didn’t put him on the right path, because Richard Hatch owes the IRS around $2 million, and has still not filed tax returns for 2000 and 2001. For those of you who couldn’t care less about Richard Hatch and are only concerned with the drama he provides on the Celebrity Apprentice (like me), fear not, because the show will not be affected by Hatch’s arrest. The finale, which is planned for May 22nd, is the only part of the season that has not already been filmed. NBC has stated that the finale “will move forward regardless” of where Richard Hatch is. For his part, Richard Hatch denies any guilt and has appealed to the 1st U.S. Circuit Court of Appeals in Boston. In other Celebrity Apprentice news, Lisa Rinna was fired Sunday night…..
previous post: The Beckhams Are Having A Girl. Finally. next post: Ryan Phillippe May Be Alexis Knapp’s Baby Daddy!